As a child, Charlotte became a keen social observer, trawling around car-boot sales with her Dad collecting curios, mid-century kitsch and seaside postcards. Amused by seeing the closeness of people and their pets, she alighted on the idea of melding the two. 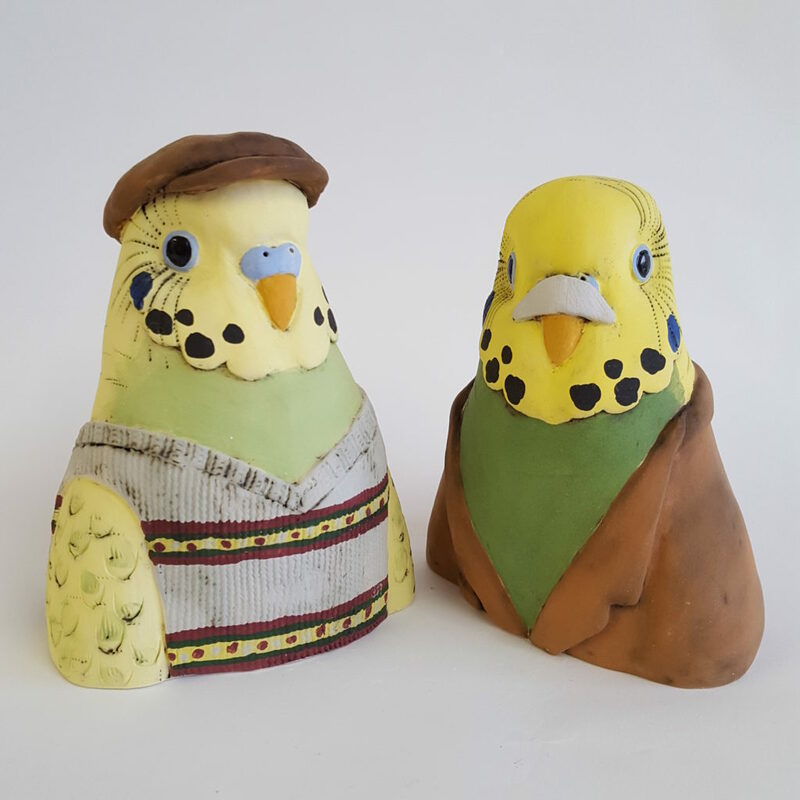 Thus, Brian the budgie was born out of the chance meeting of an Elvis lover and his budgerigar. 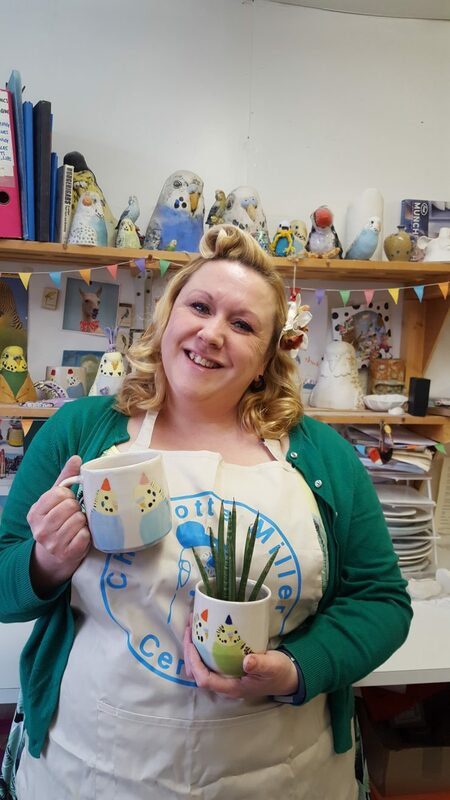 Before establishing her own pottery studio, Charlotte taught for many years as ceramics tutor on youth, community and degree courses. Through engaging with a wide demographic of students from children to the elderly, her empathy and fondness for people began to feed into her work. 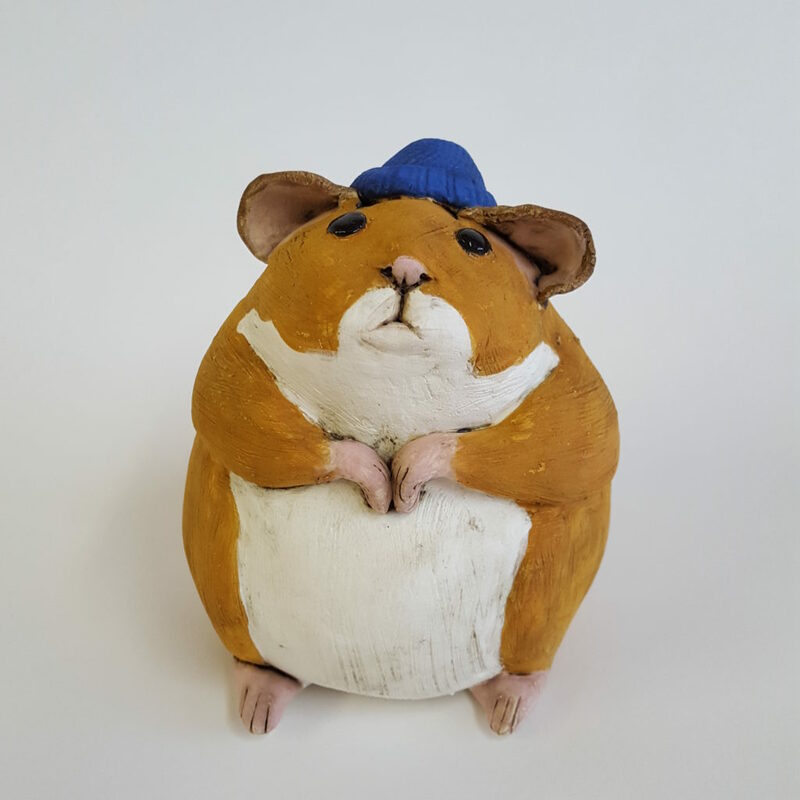 Charlotte has a broad technical language in ceramics, allowing her to accurately satirise traditional homely and domestic clay idioms. This results in the fresh and witty social commentary of her aesthetically resolved art works. Charlotte’s love of printmaking and sculpture has led her to develop a range of work that concentrates on form as well as illustrative and textured surfaces. 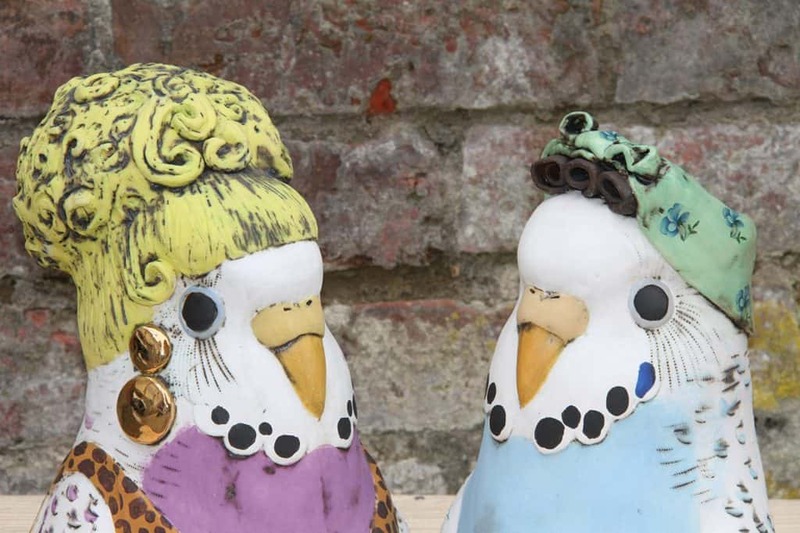 Both are influenced by her degree in Contemporary Crafts, where she studied both textiles and ceramics. 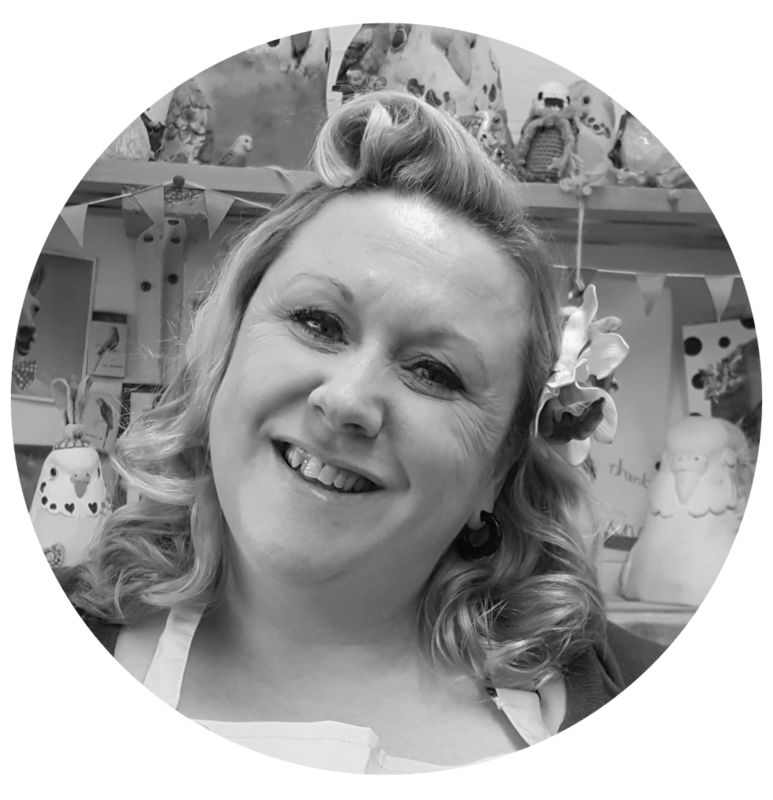 Charlotte also has a PGCE and teaches ceramics classes from her studio in Bournemouth. 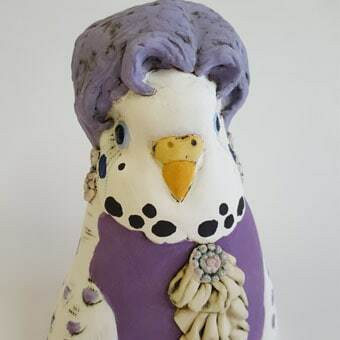 The budgies and other creatures are created by using a combination of press molding and hand sculpting techniques. 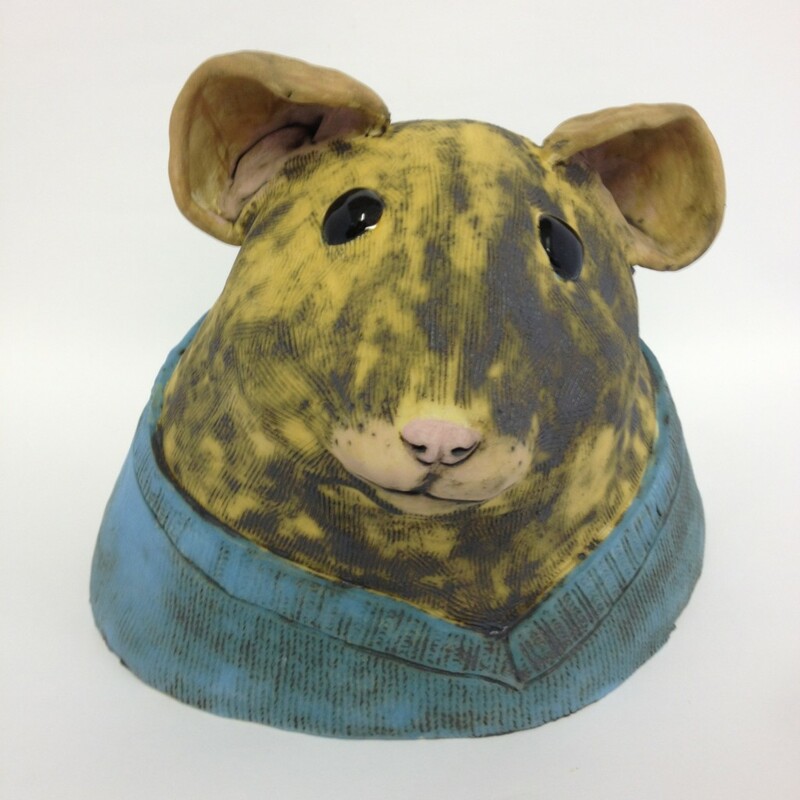 She uses a stoneware body with underglaze, engobe, earthenware glaze, and decal and lustre decoration. Her tableware is thrown on the wheel with decal decorations. 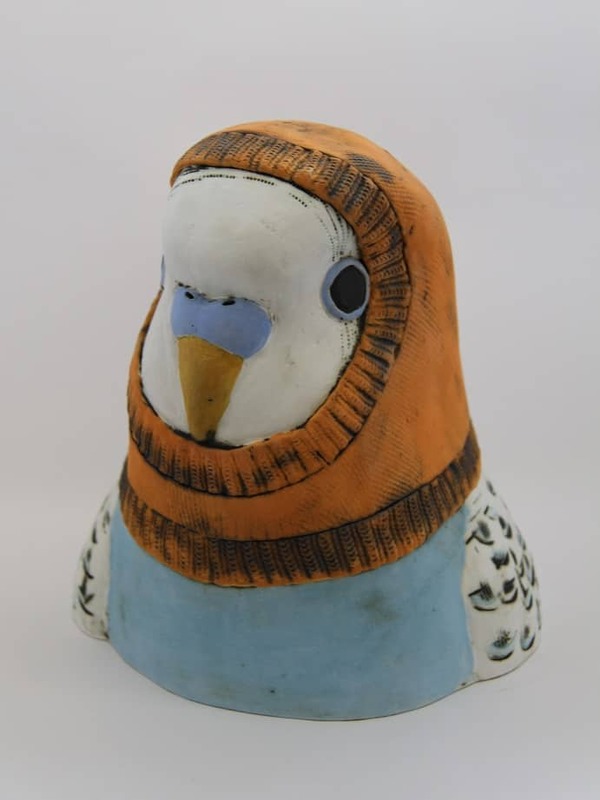 We are delighted to be showcasing a new range from Charlotte as we haven’t had her work here in Hebden Bridge for a few years and we have really missed it. You can follow Charlotte over on Instagram and do head in to Heart Gallery soon to see her work.